She Can Dance! from Frog Hollow Designs by Linda Hahn. Quilt patterns and kits. Lectures/Workshops - She Can Dance! 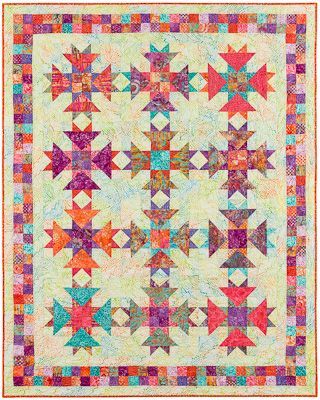 This quilt will look great in whatever fabrics you choose to make it with! Choose from purchased yardage (all blocks will look the same), pre-cuts + background yardage or completely from your Stash! This can be formatted for a whole day or half day class and is suitable for all skill levels.